The more that you refer, the more rewards you will accumulate. 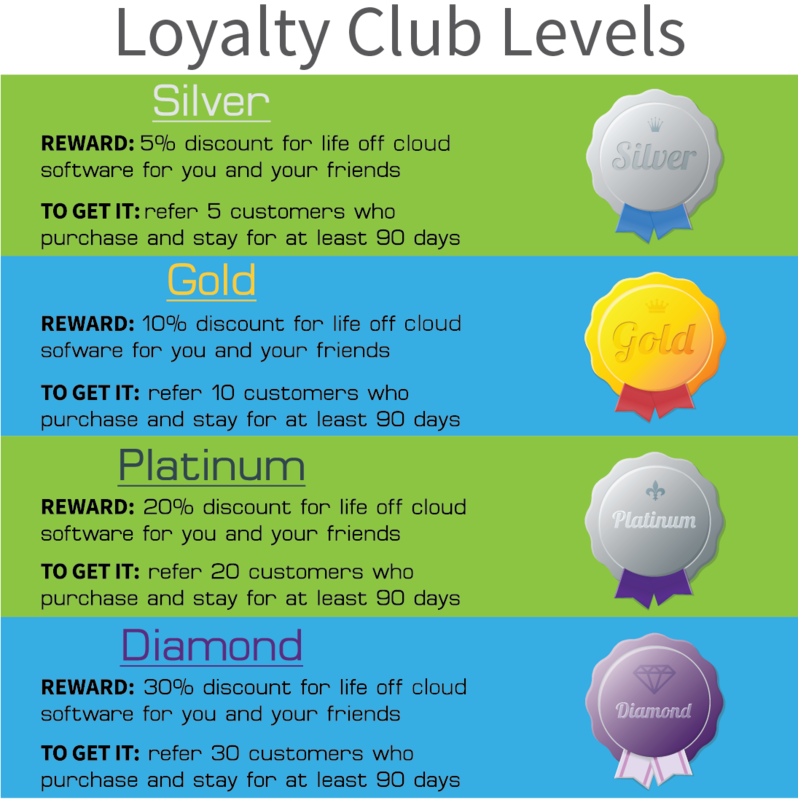 Become a member of our loyalty club to earn amazing discounts. Send your friends this copy in an email and get them started with DM today. When you fill out your contact information, don't forget to mention my name so you can receive my discounted price! The loyalty discount cannot be combined with any other discounts, and it does not travel with you. If you move companies, it stays with the company under which the referrals were signed up. The loyalty discount is for our clients and our clients only; it is not to be used by any outside consultants, dealers, or partners, as they have a separate program. The discount applies to cloud software. It does not apply to desktop software, and it only applies if your name was filled into the reference box at the origination of the sale. Any customers referred before the campaign start date of 8/5/14 are not eligible for the reward program, and Design Manager, Inc. is entitled to make all final decisions on whether or not reward qualifications are met.